For Fall '18, Coco de Mer has teamed up with London's Victoria and Albert Museum to create unique designs influenced by the institution's historical collections. 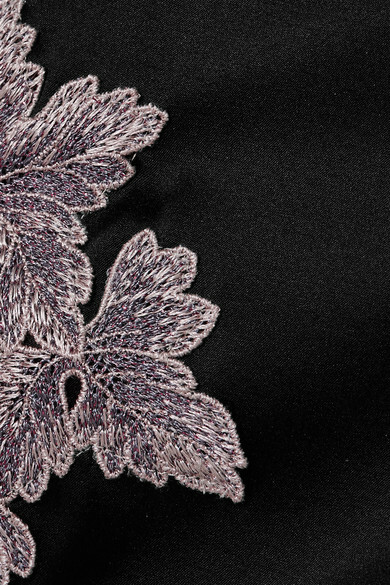 The shimmering vine embroidery on this bodysuit is inspired by lustrous mother-of-pearl inlay found in traditional Korean lacquerware - a symbol of abundance. It's cut from silk-blend satin and soft stretch-mesh and has cutouts at each side to highlight your waist. Wear it with: Monica Vinader Ring, Kenneth Jay Lane Earrings.